This newly remodeled first floor unit in Kings Run condos that overlooks lush forest. The home has a well-equipped kitchen with updated cabinetry, counter-tops and appliances. The bathroom is a full bath and also has many updates. The house is furnished in new, high end furniture including an optional Queen Bed (not pictured). 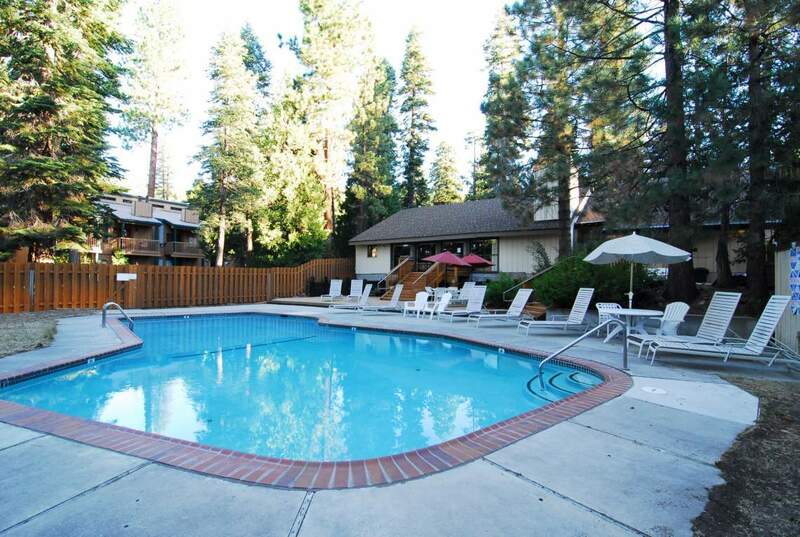 Kings Run is a medium sized condo community located just outside of Kings Beach and only 6 miles to the base of Northstar Resort. Complex sits on the forest line near the North Tahoe Regional Park. There is a club house with games including a pool table, wireless internet and cable TV, kitchenette and fireside lounge. Also included is a hot tub, dry sauna and tennis courts. In the summer you can also enjoy a heated pool! Besides this, there is a storage locker for each unit and several convenient laundry rooms on site. PETS: Will consider one dog or one cat with an additional deposit or pet fee. Please see agent for specific details. FURNITURE: There are currently 2 couches, 1 coffee table, a dining room table with benches, TV stand and a flat screen TV. Other furnishings shown in the photos may not currently be present. Queen bed belongs to former tenant but there may be an option to purchase if desired. Please plan to view the property to see what furniture is still present! Reference Property #237 ~ Call today for a private showing!